Well, maybe you were right: all kinds of food issues can cause nausea, although there are also all kinds of non-food issues that can cause it as well (most notably first-trimester pregnancy and gastrointestinal infections). But in this article, we’re just talking about food: what’s going on when you change your diet somehow, and suddenly you feel nauseated, queasy, or just not quite right in the stomach? Last resort: if solid food is not going to happen, try a cup of fruit juice, coconut water, or any other liquid with some calories in it. Avoid tough or fibrous vegetables here; they’re a little harder on the digestive system and they have a lot of bulk (which is the last thing you probably want to be eating). Leave the kale salads, broccoli, cabbage, and cauliflower until you feel better. Fat is an ideal human fuel. But that doesn’t mean you should switch overnight from low-fat vegan to a morning smoothie with 4 tablespoons of coconut oil! Adding a lot of fat to your diet all at once can cause nausea, queasiness, and diarrhea – and coconut oil, the Paleo favorite, seems to be one of the worst offenders. This is especially true for anyone with gallbladder issues. Some lucky folks can have their gallbladder out with no ill effects, but others find it a rocky transition. The fix: if you’ve recently increased your fat intake, drop back down and work up slowly. For the first few weeks, limit coconut oil and focus on olive oil, butter, or other Paleo-friendly fats. Spread your fat intake throughout the day, rather than having a huge plate of fat at one meal and a bunch of lean protein for the next. 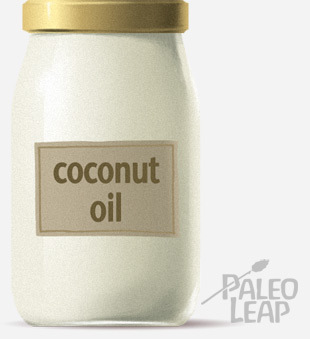 Add coconut oil to your diet 1 teaspoon at a time, not in huge chunks. Use it in mixed meals, not added to smoothies or coffee (or worse, eaten straight off the spoon). Some people just don’t tolerate coconut products at all; if they don’t sit well with you even after a slow introduction, just forget about them. Day 1: large sweet potato with a small pat of butter; 1 skinless chicken breast (approx. 7 grams fat). Day 4: medium sweet potato with a generous pat of butter; 1 chicken breast with the skin (approx.. 15 grams fat). In this plan, you gradually transition from high-protein, low-fat to high-fat, moderate-protein, hopefully without the stomachache! Are you taking ultra high-dose fish oil? Vitamin D? Anything else? Or mixing a bunch of multis together “just for insurance?” You may be getting too much of one nutrient or another, which can be just as bad as not getting enough. It’s hard to pin things down on one particular nutrient, but there’s a simple test to see if this is your problem: ditch the supplements for a few days and see if the nausea disappears. That’s a huge long list of potential problem foods, so it helps to narrow it down: are you eating any one of these foods or food groups much more since switching to Paleo? (For example, many people start eating a lot more coconut products and nuts). Or do you notice that your symptoms get worse specifically after eating one particular food or meal? It will probably help to keep a symptom diary and see if you can connect the nausea to any particular item. If you do try elimination, remember that it’s most useful to eliminate only one thing at once! Otherwise, how will you know which one you were really sensitive to? Transitioning to Paleo can get a little crazy. Everyone’s body is different, and sometimes nausea can be part of the reaction, especially if you suddenly leap from a pile of junk food right into Paleo. There’s not always an identifiable reason behind it – some people chalk it up to “detox;” other people blame enzymes, or hormones, or the gut flora, but it’s hard to know for sure. It really stinks to feel gross and nauseous, but if nothing else sounds right, and if you’ve only just started, give it a few days and see how you feel. Try drinking some ginger or peppermint tea to settle your stomach, maybe ease off on the vegetables a little if you’ve been making up for lost time a little too enthusiastically, and find a way to coddle yourself a little until the transition is done. There’s not always a clear reason for any given feeling of nausea. 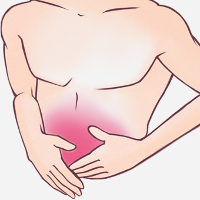 Sometimes it’s not related to food at all – for example, if you’re pregnant or you’ve just picked up a stomach bug. Other times, it might be an unusual amount of fat, a hunger signal, a food sensitivity, or just a transitional hangup that you’ll get over soon enough. For the first week or so, it’s more than likely that your body just needs time to adjust and there’s nothing really wrong. But after that, it’s very possible that you’re struggling with a food sensitivity or that you introduced too much of a new food too fast. Try out some of the tips above for figuring out the problem, and see if it doesn’t help you feel better.